After a very unsettled pattern has thrown storm after storm at the mid-south, could there be a lull in the action from Mother Nature around the corner? If so, first we’ll have to get past the next cold front plowing through the metro into early tomorrow. A near picture perfect day in Memphis on Tuesday will give way to yet another chance of rain early on Wednesday. However, unlike previous systems that have pushed through the region, expectations say that these showers and isolated thunderstorms will not be strong to severe. As the cold front moves through the metro, a few showers are possible early beginning around dawn and continuing to noontime. By the afternoon, the front will pass and the chances of rain diminish. Temperatures should remain steady in the 60s throughout the day. Meanwhile, off to our east, the Storm Prediction Center (SPC) is expecting a strong severe weather event to develop across Alabama, Georgia, and South Carolina. Having already been hit with strong storms on Monday, these storms could be just as strong on Wednesday afternoon. The threat also expands north into the Tennessee and Ohio Valleys, though smaller than in the Southeast. If you have friends or relatives living in these areas or traveling to cities like Atlanta, they should be prepared for these storms. Threats include hail, strong winds, and isolated tornadoes. A moderate (4/5) risk for severe thunderstorms exists for parts of Alabama, Georgia, and South Carolina for Wednesday. The risk for storms across the Memphis region is much more isolated, per the Storm Prediction Center (SPC). Following the storms, expect a shift in the wind out of the west, ushering in cooler air for the region. These winds will be particularly strong, with gusts possibly up to 40 mph in spots. These sustained winds between 10 and 20 mph continue into Thursday, but should die off by the evening hours. Best to prepare, however, by bringing loose objects (including garbage cans, recycling bins, and some lawn furniture) indoors. After seeing five rounds of storms roll through the metro area in the last week to week and a half, Mother Nature is finally prepared to give the mid-south a much-needed break. However, along with that comes a big change in temperatures, especially overnight. Skies begin to clear on Wednesday night, but with that comes lows in the mid 40s in the city, and potentially as low as near 40 in the suburbs. Brighter skies are likely Thursday and Friday, but with highs only hitting the low 60s. Lows each night could drop to the low 40s in Memphis and perhaps as low as the upper 30s in Tipton County and other points outside the city. It’s likely to be a chilly start to your morning on Friday, with temperatures at 7:00 am expected to be near 40. Some suburbs could even drop into the low 30s, something we don’t see too often in April. Temperatures that took a tumble to end your work week will be on the rise again by the weekend, with more seasonal highs returning by Saturday. Both days of your weekend will see temps hit the 70s with partly to mostly sunny skies, and lows overnight rising from the 40s into the 50s. When will our next chance of rain come? We’re watching for some thunderstorms possibly on Monday afternoon into Tuesday, as temps push back towards the 80-degree mark. But for now, get out and enjoy a gorgeous weekend. Though the Memphis Redbirds won’t be in town, it still should be a good time to turn off the TV and go throw around the ball with man’s best friend. Looking to keep ahead of the weather while you’re on the go? Be sure to download the MWN Weather App, where you can check our latest human-generated forecast, get your pinpointed watches and warnings through StormWatch+, and more. 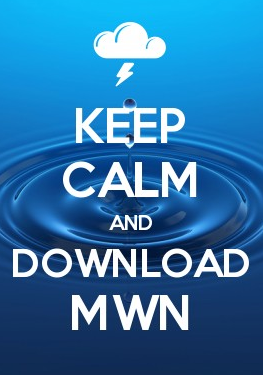 You can also follow MWN on Facebook and Twitter for great info too.